A life-long learner and adventure lover, Ruth McDonald blazed trails at many points in her life. Born in Bessemer, Michigan in 1921, Ruth graduated from high school and went on to nursing school in Chicago and then, in 1943, joined the Army Nursing Corps as a 1st Lieutenant. She served in the South Pacific in World War II, earning the Bronze Star Medal in 1945 in recognition of service above and beyond the line of duty. After marrying her beloved Floyd in 1948, they settled in Weslaco, Texas where she went on to enjoy a 40-year career in public health. Floyd died in 1995 prompting Ruth to move to Alexandria, Minnesota, to be live with her sister, Judith Ryding. She immersed herself in the community, taking senior classes at the Alexandria Technical and Community College (ATCC), enjoying theater productions, attending PEO meetings and working on crossword puzzles. She was also very charitably minded and concerned about the overall health needs of the community. Lisa Bowen, an estate planning attorney with the Thorton, Reif, Dolan, Bowen and Klecker law firm, worked with Ruth on her estate plan. 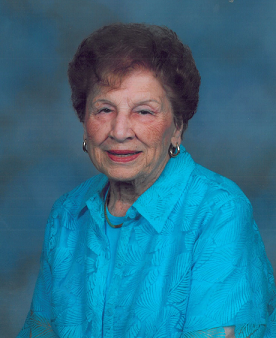 With the help of the Alexandria Area Community Foundation, the Ruth McDonald Fund was established. Ruth was very concerned about families in poverty and having health programming available and that is what her fund will support. Ruth died on March 17, 2016. “It’s so really exciting to see that Ruth’s goals are being fulfilled now with the fund in her honor at the CommunityGiving organization,” Lisa noted.